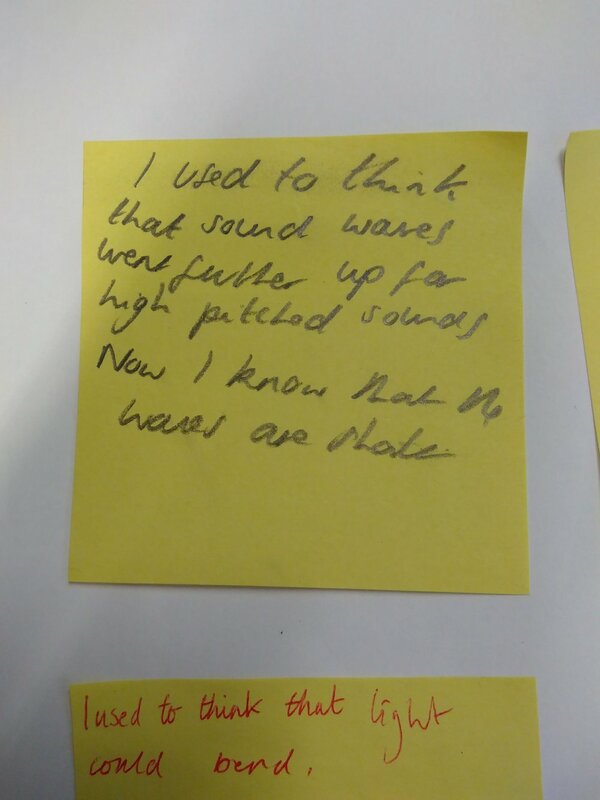 Ten teachers from our Science for Life primary schools came to Gillespie Primary School for our second SfL CPD day - this time the topics were light and sound. 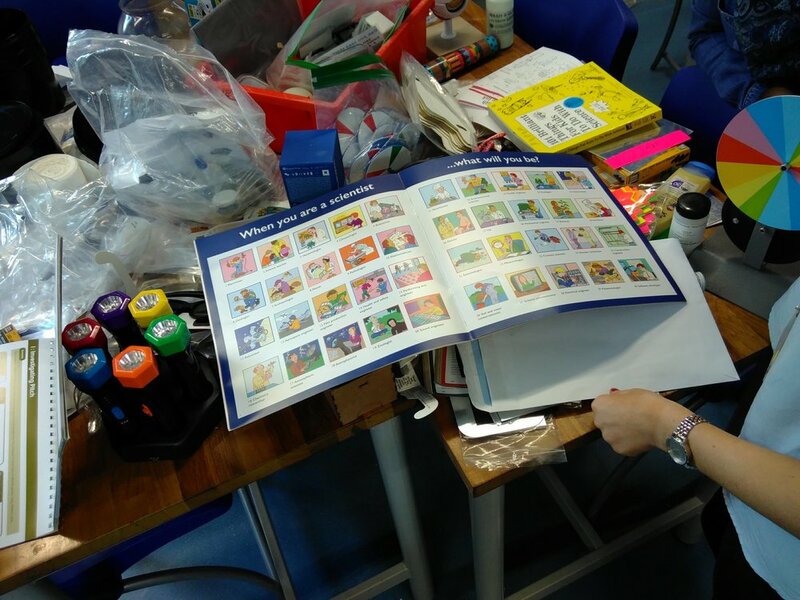 The day was an opportunity for them to develop their subject knowledge, but also their pedagogy and knowledge of practical demonstrations and investigations that pupils might carry out. 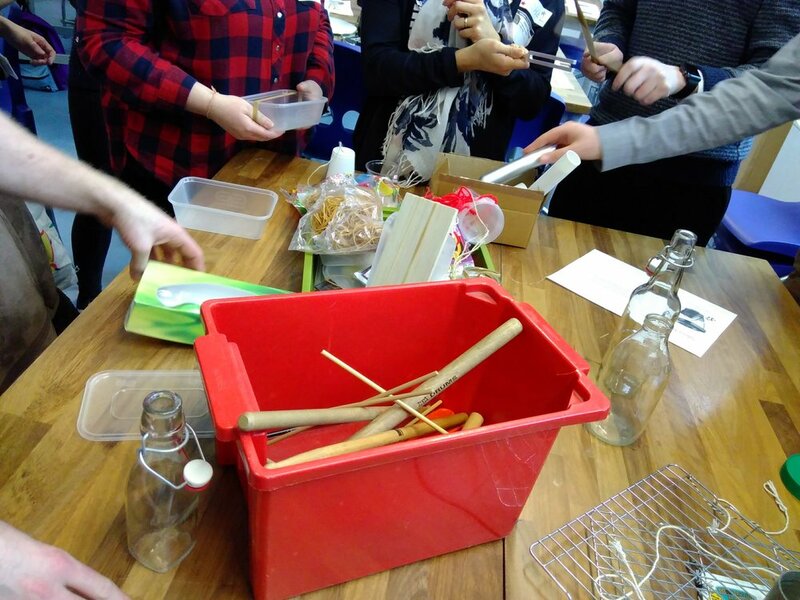 A particularly popular practical demo involved dropping a slinky spring connected to one's ears - a variation on the 'musical coat hanger' activity, which can be found on a number of websites including as part of the Institute of Physics Milo & Marvin resources. At the end of the CPD day, teachers were invited to reflect on what they had learnt and how they would use it - and to provide feedback for monitoring and evaluation of the project. Below are word clouds that capture their responses. Did today's CPD meet your expectations? Please explain why / why not.